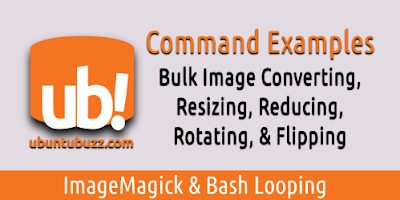 This is a short compilation of 6 bulk processing command line examples from 6 of our previous articles about bulk images converting, resizing, reducing (file size), rotating, and flipping. Here we mention only the title and the command lines, without the explanations (but we give a link to the corresponding article), for every action of processing below. For those don't know, the command lines here are basically just bash looping commands combined with ImageMagick's convert command lines.